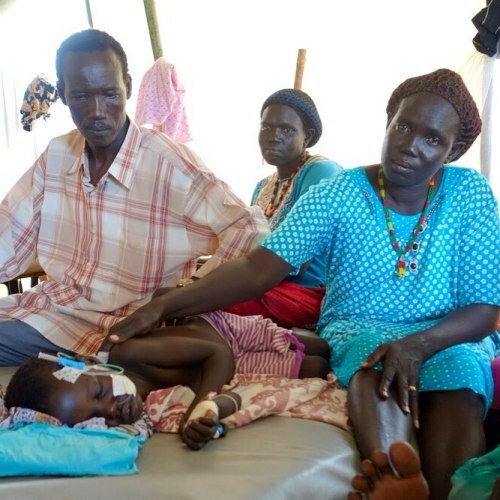 “Five-year-old Achan’s family have been by her bedside continuously since she was admitted to #MSF’s pediatric ward in Aweil Hospital, located in the #malaria-prevalent northwestern quarter of South Sudan. When Achan arrived at the hospital, she was completely comatose. Her small body was convulsing with seizures and she was running a fever of nearly 40 degrees. “All of us were afraid she was going to die,” says her father as he gestures to the five family members around Achan’s bed. This year, malaria is spiking again. In the first three months of the malaria season, MSF projects in the northwest of the country are treating just as many severe malaria patients as last year. © Jacob Kuehn/MSF” By doctorswithoutborders on Instagram.